The sequel introduces players to multi-stage levels, a new bird and more. 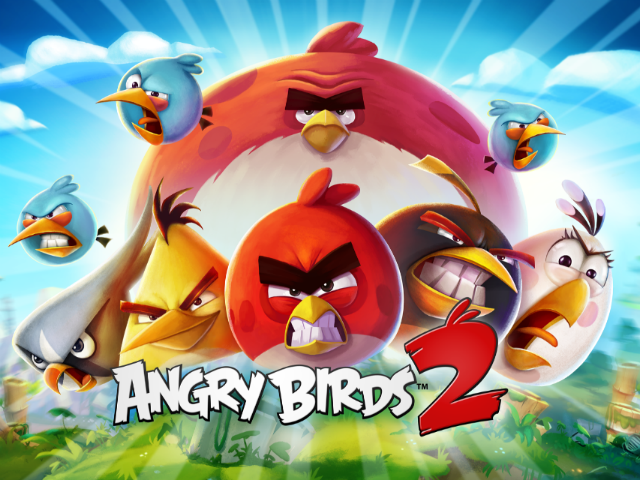 Rovio has released Angry Birds 2, a true sequel to the original bird-flinging phenomenon, on iOS and Android devices. The game once again sees players destroying the pig’s structures to rescue the birds’ stolen eggs, but the formula has been updated with a few key elements, as well as a new bird named Silver. In each level of Angry Birds 2, players have a limited number of shots to destroy every pig in the stage. Levels contain multiple rooms and structures, so players will need to clear them all before successfully completing the stage. If players run out of shots, they can spend premium currency to continue with additional birds, or choose to lose a life (lives are also lost as players ‘retry’ stages without completing them first). These lives recharge automatically over time. Users may also have the choice of watching a video ad for a free bird. Users earn up to three stars on each stage, depending on their performance. As players earn points in each stage, the Destructometer charges in the corner of the screen (players can also fill the meter instantly by destroying special golden pigs). When this meter completely fills, players receive an extra bird, giving them an additional shot before they’d fail a stage. If players have multiple cards containing different birds, they can tap each card to activate the right bird for the particular structure. Each bird has a different special power. Red’s battle cry, for instance, sends a destructive wave across the screen to destroy tall towers, while Blues, the group of small blue birds, can be transformed into three birds that each damage a different area of the structure. As for Silver, the new bird, her ability allows players to drop Silver like a bomb, vertically onto a chosen structure. Over time, players will unlock spells that can be activated in chosen stages. A golden duck spell, for instance, causes golden ducks to fall from the sky, destroying large structures in a single move, without wasting any of the traditional birds. Some stages also contain spitting flowers, which will pick up nearby debris (including birds and pigs), and spit them back into the stage, potential defeating pigs or causing structures to topple. For social features, players can login to Facebook to track their scores on Facebook leaderboards, while Friend Gifts can also be collected in some stages and sent to other users. Outside of basic gameplay, a daily quests system encourages users to complete specific actions each day (like earning a set number of stars, as an example), and an arena offers daily tournaments. Players must reach level 25 to unlock the arena, which allows them to challenge other players around the world to earn feathers used to level up bird types. Design technology has evolved dramatically since the original game launched in 2009. With Angry Birds 2, we wanted to bring a level of expressive depth and detail seen previously only in a console game or animated series—and create a new game that kids and adults alike won’t be able to put down. Angry Birds 2 is available to download for free on the iTunes App Store and Google Play.